“Who Wants to Write a Story With Me?” CONTEST! Do you want to take the plunge and co-write a short story with me? Last year I held a contest where the winner would co-write and publish a short story with me. 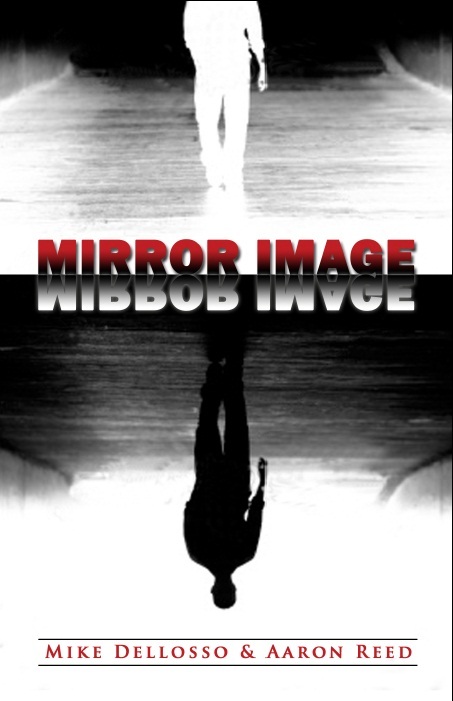 Aaron Reed, a pastor, husband, and father of five won and we just recently released our short story Mirror Image. You may want to check it out (only $0.99 on Amazon). I think it’s safe to say both of us had a blast writing it, too. Well now I’m ready to do it again. Your entry must be a story idea in one sentence and one sentence only. Any genre, any topic, just please, no erotica. You can enter as many ideas as you want. You can either post your entry below as a comment or send it to mikedellosso6797@gmail.com. Please include your name in your entry. Entries will be accepted through midnight Friday. The final five will be announced Monday, 4/15. Have fun with this. I know I’ll fun reading your entries. Please help spread the word about this contest on all your social media hang-outs. Posted on April 10, 2013, in Contests, Mirror Image, Writing craft and tagged Contest, Fiction, Get published, Mirror Image, Short story, Writing contest. Bookmark the permalink. 31 Comments. During a routine drive to the grocery store, Vanessa and her 5 year old daughter Maggie are taken hostage by a young seemingly powerful man who has never really encountered true power until he meets Maggie. A man born blind pleads with God to answer his prayer to be able to see but when is prayer is answered the sight he receives is a seeing the spiritual state of a person, their brokenness and what it would take to lead them down the right path again. In an atheist run utopian city where Bibles are outlawed a man known as the messenger will do all that it takes to deliver a shipment of Bibles to the lost people, even if it means giving up his life to do so. A young guy on the search for a lost treasure, but finds something more to life than a list treasure. Robots are now teachers, and a group of Special Needs students uncover what the robot/teachers are really doing. Ptolec watched the brush where the creatures nested from a distance. Forbidden to reveal himself to the adults, he waited for the two offspring to wander closer to see if the parents would leave them unguarded. The two-year-old was small, pudgy and brown; the infant, still a rosie pink with rounded belly and wide brown eyes. Ptolec had been told to watch them closely and bring news of any . . . signs. The two-year-old showed promise. Already losing some of its baby fat with elongating limbs, it too watched its infant sibling with keen interest. The younger rolled on its belly, studying and splaying its fingers as if the mechanics of its own movements were the most fascinating thing it had ever encountered. A bright colored piece of fruit occupied the immediate interest of the two-year-old, and he strained to reach it with his paws. After a few short leaps, he caught hold of the leaves and was able to bend the branch and its prize into his reach. With a twist, the two-year-old pulled the fruit from the branch, but it slipped from his grasp and rolled to-ward the infant. The infant noticed the fruit and extended its arm toward it. The two-year-old, flushed from its exertions bounded toward the infant and snatched the fruit off the ground. “Sabae!” it said, and Ptolec smiled in spite of himself. There was the sign he sought. The bright one would be pleased. “Sabae!” it had said. In that one word it re-vealed what would be the undoing of this new race of creatures in time to come. Sabae – meaning: MINE! A man attends a birthday party every year where he is the only person allowed to attend – and the place is full, with versions of himself from every year of his life, prior and future… and this year, there’s a mystery to solve, which will require the input of every version of himself. With a week of work behind her, single mother Karen comes home for pizza, anticipating her three kids greeting her, to find the house quiet and void of the typical welcoming ruckus.